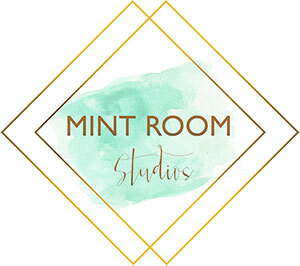 By now, Bodmon (Laiba) Zaid is no stranger to Mint Room Studios, and we are always so eager to see the amazing content she always seems to create at our studio. 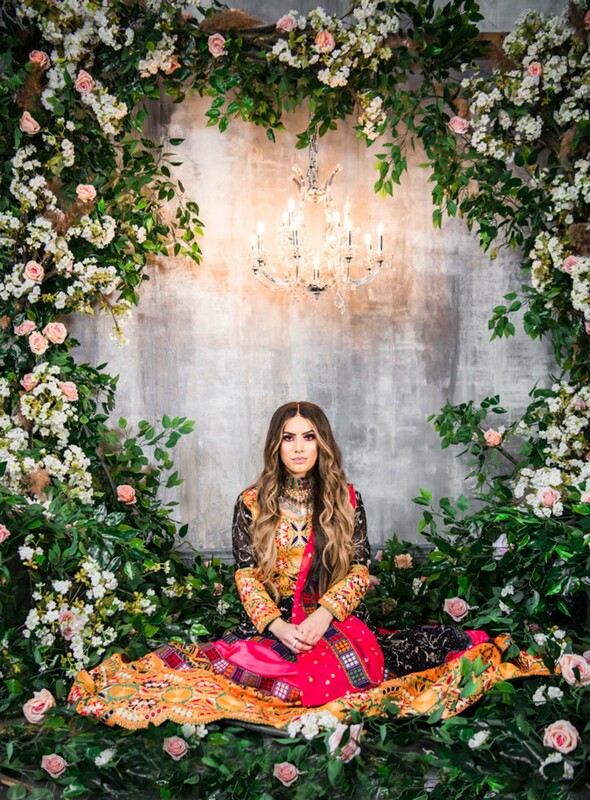 This time, her stellar team shot in our Lounge, known for its textured walls and floor, as well as its mysterious vibes. 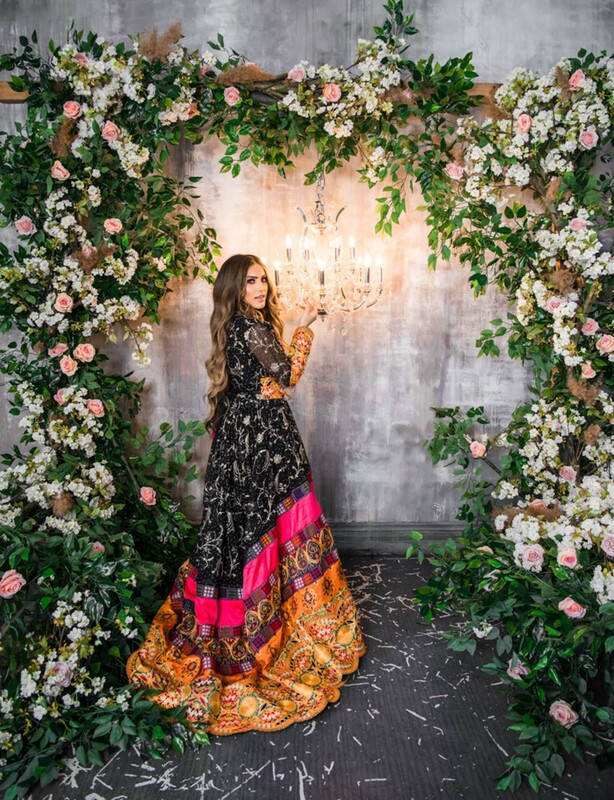 We’ve seen this room made over to be a backdrop for everything from feminine bridal editorials to moody dance showcases, and this shoot transformed the space yet again! 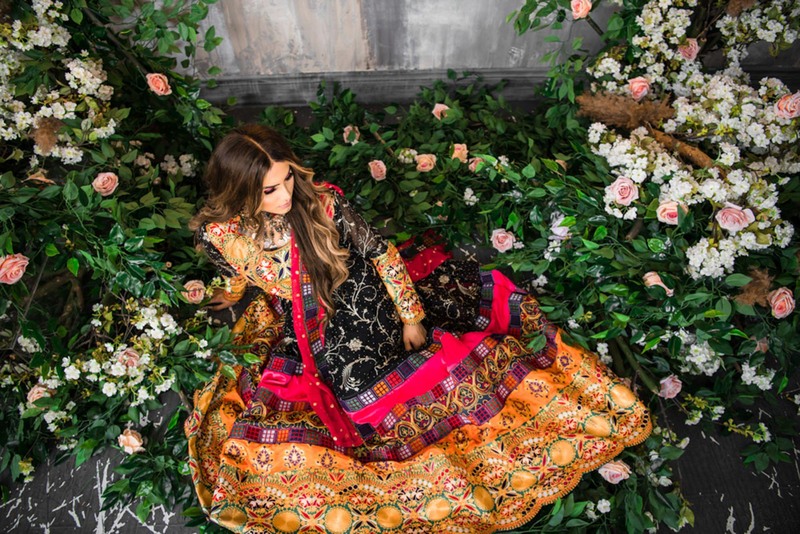 The team was inspired by Afghan culture, even going so far as to name this series The Enchanted Afghan Princess! 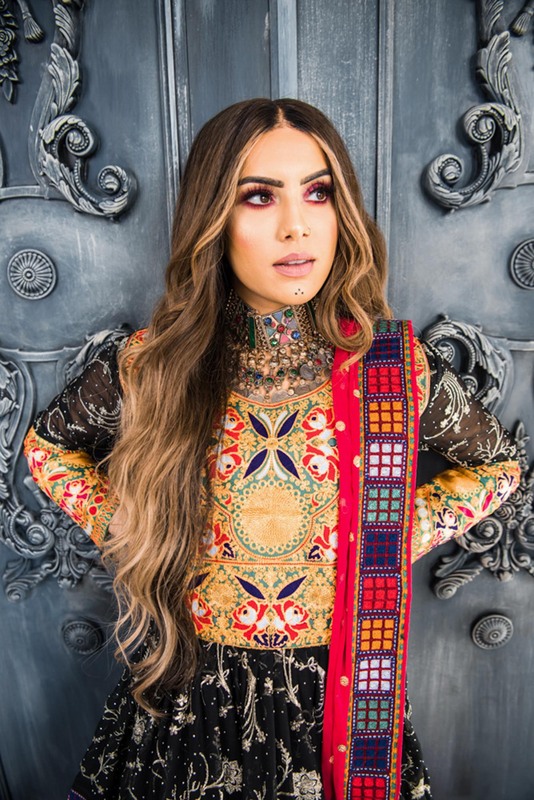 Bodmon herself emulates true and total IG royalty in this vibrant creative, and needless to say, she did NOT disappoint. 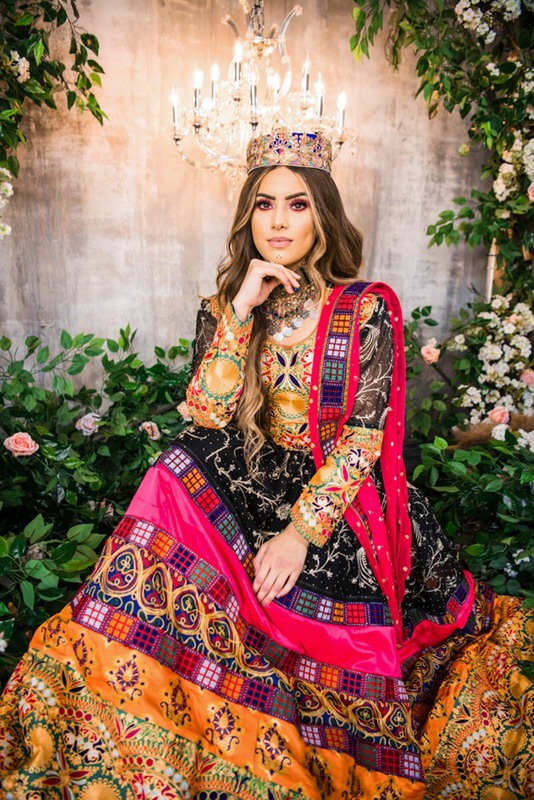 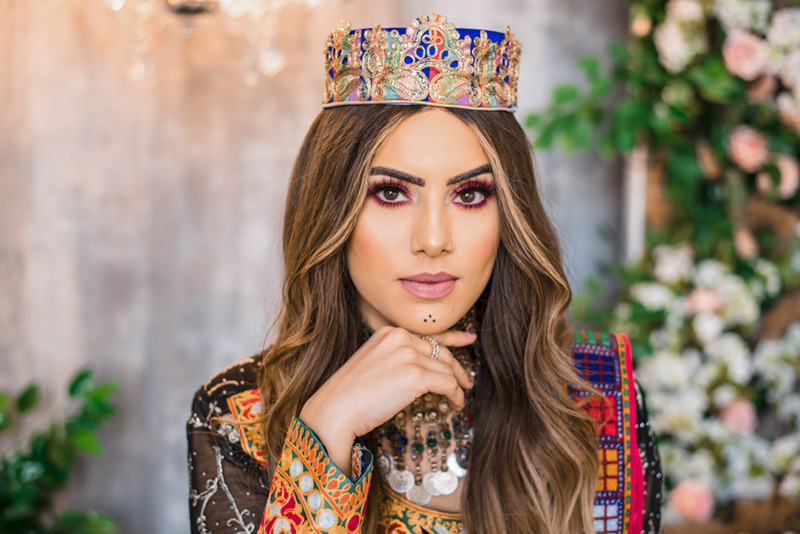 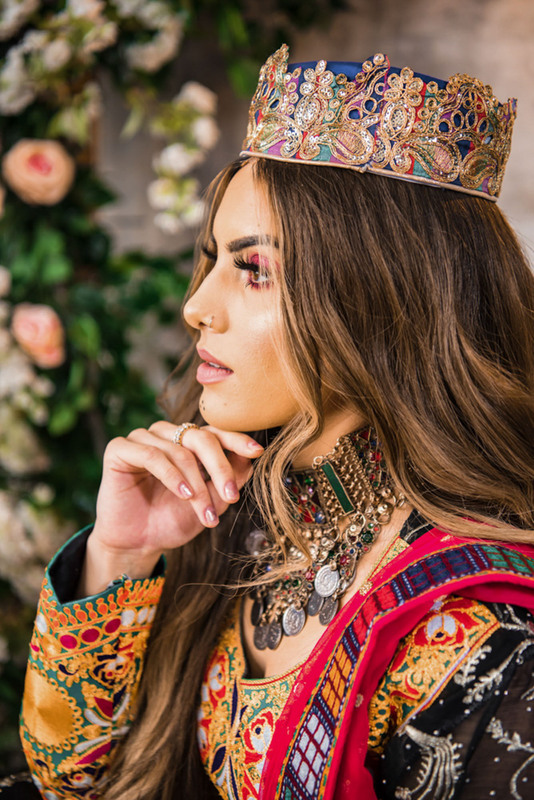 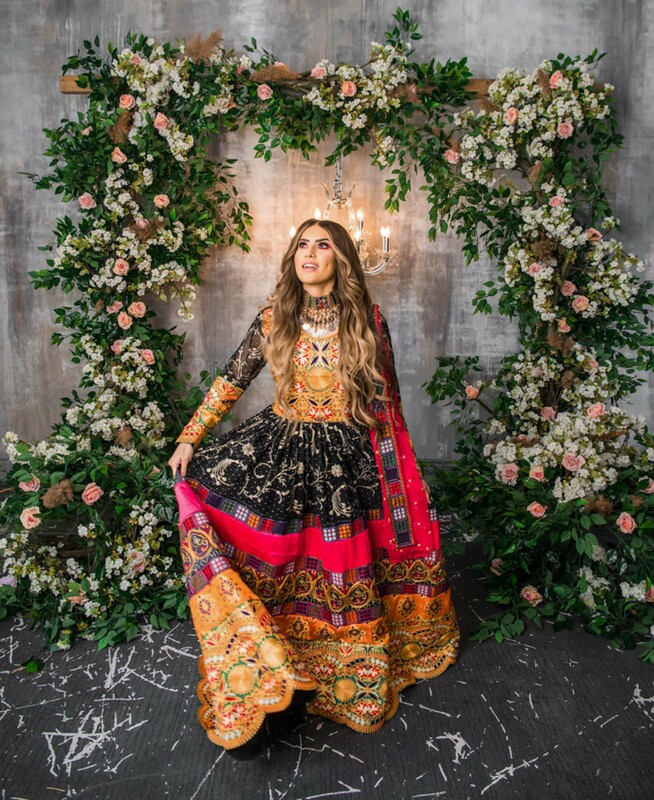 Avery Wassel Photography captured the phenomenal amount of detail in the dresses and jewelry provided by Fardin Fashion Inc, the intricate make up and hair by Sabrina Wassel, and the over-the-top décor created by Opulent Event Designs. 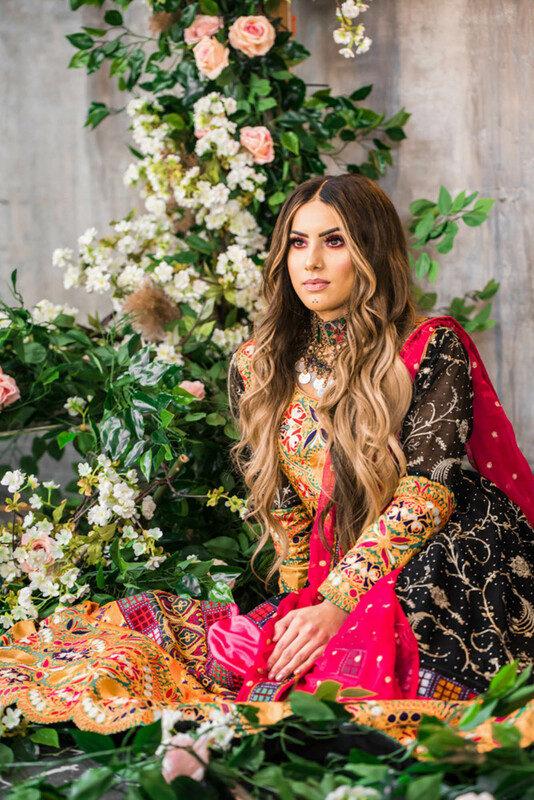 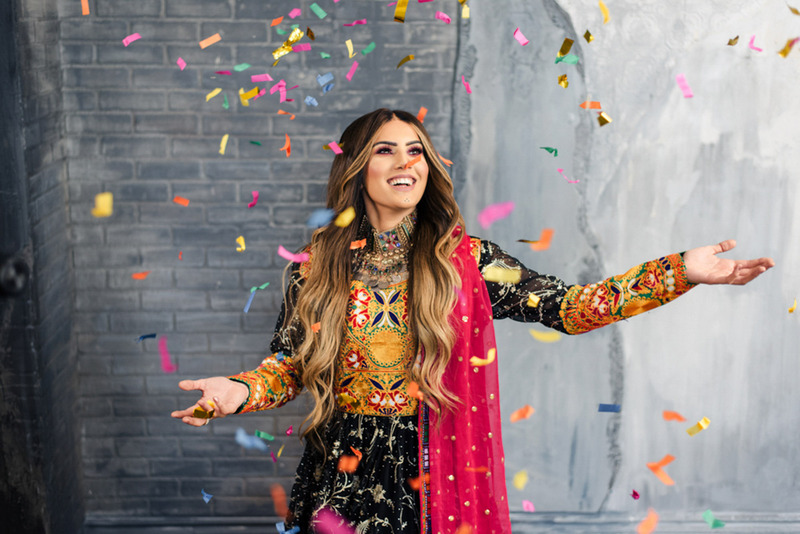 It’s always such a treat for the Mint Room team to see the creative energy that gets poured into shoots like these by our clients and community, particularly when they reflect the vast array of backgrounds and cultures that make our city so great. 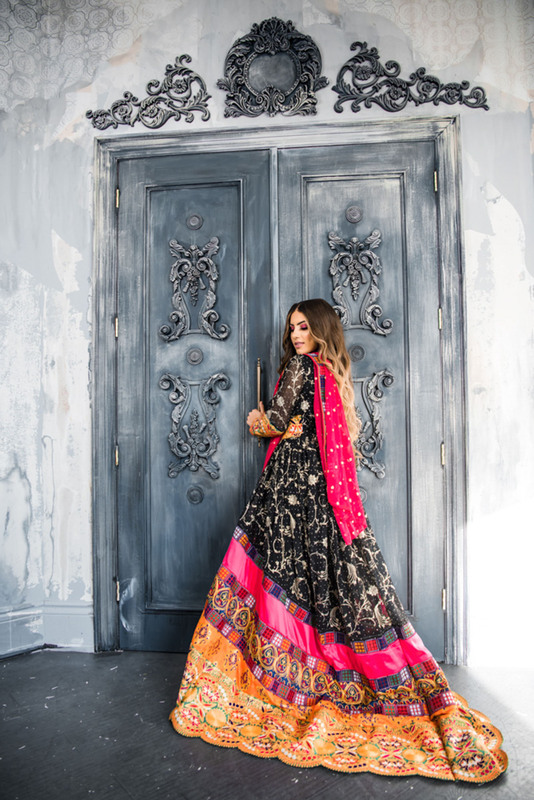 We hope you enjoy this stylish shoot as much as we did!